Beauty From Ashes will nourish your spirit and help you find joy in your cancer recovery! Cancer can leave you feeling alone and in despair. Treatments can be draining – both mentally and physically. Trusting God in this journey can be hard! 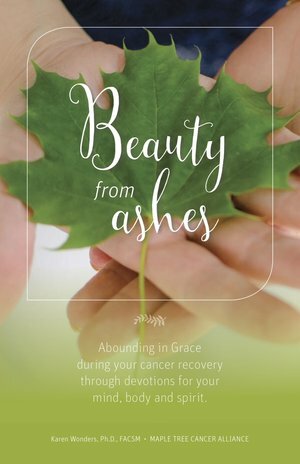 Beauty from Ashes will strengthen your faith during cancer recovery with Scripture-based devotions, prayer, and journaling prompts. I truly want every person battling cancer to know that God can use this trial to bring about something beautiful. He truly can bring Beauty from these Ashes! In addition to building the reader up spiritually, I also hope this book will provide practical knowledge on how to live a healthy lifestyle – no matter what your current health status may be! That is why I have included healthy recipes, lifestyle tips, and workout guidelines that can easily be put into place. This devotional is simple, practical, and inviting! Karen Wonders, Ph.D., is the Founder and Director of Maple Tree Cancer Alliance®, and Professor of Exercise Physiology at Wright State University. Her passion is to advocate for exercise as part of the standard of care for cancer. Karen is committed to evidence-based practice in her facilities, and has a robust research program that has published two text books, four book chapters, and more than 30 peer reviewed manuscripts on the topic of exercise and cancer recovery. A gifted communicator, Karen has given more than 100 professional presentations on the national, state, and local levels, including a talk at TEDxDayton 2017 on Exercising through Cancer Care. 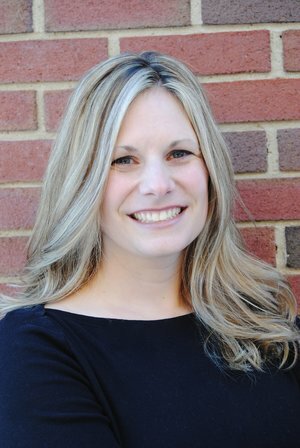 In addition, Karen is in her final year of course work in the Master’s of Ministry program at Cedarville University. Karen is married to her college sweetheart, Andrew Wonders, and together they have seven (yes, seven!) children. If you think her hands are full, you should see her heart!